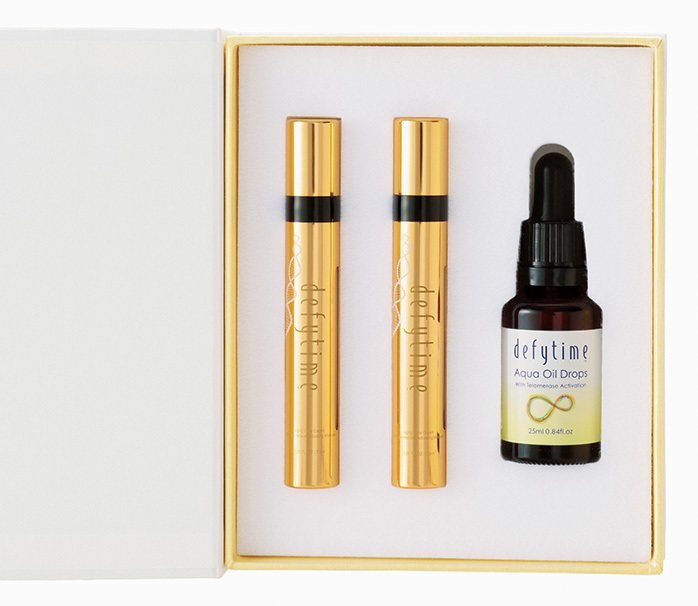 This is no ordinary anti-aging treatment. This is a new cure for aging. Research has found that shortened telomeres is a key cause in accelerating skin aging. In view of this, we created Defytime the First, a cream containing TAM, a powerful telomerase inducer, to directly combat telomere shortening. Now, we bring you Defytime the First PREMIUM, which contains a double dose of active ingredient TAM. It’s produced with a nano-solution immersion technique to create micro-particles measuring less than 1000 nanometres, to ensure its active components can work continually at the skin’s very deepest layers. 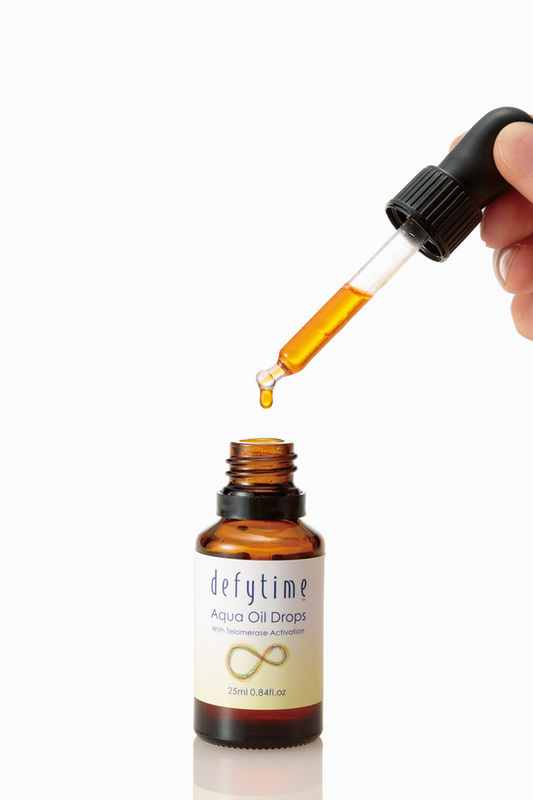 Our First PREMIUM kits also include a bottle of Defytime aqua oil drops containing both TAM and Astaxanthin, which penetrate the skin even more effectively than cream and work directly to combat skin aging. Why not use on those particularly troublesome spots for even more pronounced anti-aging effects? We recommend daily application, after washing your face in the morning and evening. ① After washing your face, squeeze 5-10 mm of Defytime The First onto the palm of your hand. ② Squeeze a single drop of the Aqua Oil Drops on top of the cream, and blend the two. ③ Gently massage the mixture into parts of your skin showing aging. We recommend everyday application, before and after washing your face in the evening.